Ron Lee Homes offers a full-service construction experience for our clients, which includes lot selection, floorplan selection utilizing the constraints of the lot footprint, fully engineered floorplan design, specialized lot development giving the homeowner the choice of “mapping” the lot to maintain trees and landscaping before clearing, and new home and custom home construction. We offer three types of home building products: fully custom homes, semi-custom homes, and new homes for sale – homes that are already built. If you are planning on building a new home on a lot that you own, you can see that our services will cover your home building experience from start to finish. We are one-stop-shop when it comes to building a new home in West St. Tammany Parish. We typically build our new homes in the cities of Mandeville, Madisonville, Covington, Abita Springs, and Folsom. If you live in or around these areas, you will want to set up an appointment to go over your options for designing and building your new, custom home. 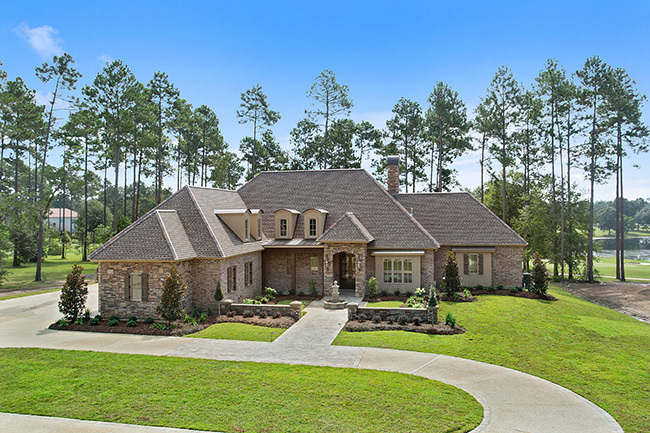 For More Information on Building a Semi-Custom or Custom Home by Hearthstone Homes by Ron Lee or Ron Lee Homes, Contact Us Today at 985-626-7619 or E-mail Info@RonLeeHomes.com.